Sold by UK-based dealer Collier, this stunningly decorated serpentine form shuttle machine is a joy to behold. 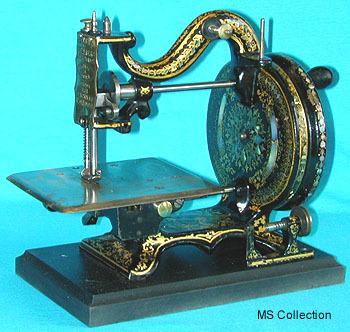 The Ipswich firm of Whight & Mann sold a machine of identical form which was named "The Princess". Circa 1870. For a second view, click here.